You could revisit the people & places from your past? 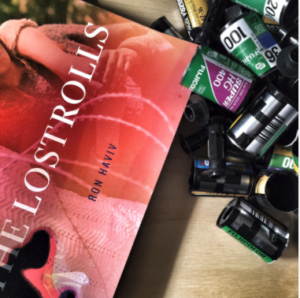 The Lost Rolls America project opens the magical reencounter with the past to anyone who possesses unprocessed film rolls. Contributors provide one roll of film, which is developed and scanned free of charge by FUJIFILM North America Corporation, and made available back to them. Participants then choose one image and, in a small write-up, explore the meaning of the photo and the significance of re-viewing a piece of their personal, sometimes lost past. Ultimately, these observations offer points of identification, through descriptions of similar memories or associations, for other viewers of this collective experience. Lost Rolls America ensures the creation of a national archive of images from the public’s lost rolls, and acts as a digital repository of visual memories living on PhotoShelter’s unique platform. This is a form of collective memory that prioritizes the role of photos in constructing our personal and shared pasts. In revisiting the past, this project also encourages contemplation of how the present and future will be remembered: Which artifacts do we use to record and remember history? How do these artifacts evolve with time? In what ways has the shift from analog film to digital impacted our relation to our own personal memories? The inspiration for this national project grows from a book by award-winning photojournalist Ron Haviv, who processed over 200 rolls of his own undeveloped analog film that had been put aside and forgotten over the years. Those images, some dating back over two decades, were collected in his book The Lost Rolls, which feature moments from Haviv’s professional career, like political events and historical crises, as well as personal figures from the photographer’s own life. The photographs bear evidence of light leaks, pooling dye, mold, and other vagaries of time, and taken together, present a mesmerizing visual display of Haviv’s once-lost past. 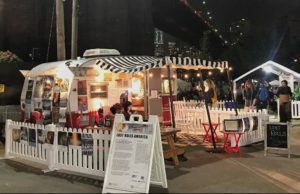 Recognizing how important photographs are, not only to a photojournalist but to society at large, Lost Rolls America celebrated this with an exhibition at the Photoville Festival in New York City in 2017. Stay tuned for information on our upcoming national tour, coming to a city near you! RON HAVIV, project creator, is an Emmy nominated, award-winning photojournalist and co-founder of the photo agency VII, dedicated to documenting conflict and raising awareness about human rights issues around the globe. In the last three decades, Haviv has covered more than twenty-five conflicts and worked in over one hundred countries. He has published four critically acclaimed collections of photography, and his work has been featured in numerous museums and galleries, including the Louvre, the United Nations, and the Council on Foreign Relations. His first photography book, Blood and Honey: A Balkan War Journal, was called “One of the best non- fiction books of the year,” by The Los Angeles Times and “A chilling but vastly important record of a people’s suffering,” by Newsweek. His other monographs are Afghanistan: The Road to Kabul, Haiti: 12 January 2010 and The Lost Rolls. Haviv is the central character in six documentary films, including National Geographic Explorer’s Freelance in a World of Risk. He has provided expert analysis and commentary on ABC World News, BBC, CNN, NPR, MSNBC, NBC Nightly News, Good Morning America and The Charlie Rose Show. LAUREN WALSH, project director, is a professor and writer. She teaches at The New School and NYU, where she is the Director of NYU Gallatin’s Photojournalism Lab. Her classes focus on the history of photography, contemporary visual culture, war reportage, and journalistic ethics. Walsh is editor of Macondo, a photo book documenting the long-term conflict in Colombia, and coeditor of the collection The Future of Text and Image as well as the Millennium Villages Project, a photography book on efforts to relieve extreme poverty in sub-Saharan Africa. She has published in the Los Angeles Review of Books, Photography and Culture, the Romanic Review, the Journal of American History, the New Republic, Hyperallergic, and the “About Images” series of Nomadikon: The Bergen Center of Visual Culture, among others, and has articles in numerous anthologies. She has appeared on CNN as a scholar of photography and digital culture as well as in the documentary 9/11: Ten Years Later. Walsh’s research concentrates on questions of memory and visual media. Her forthcoming book is called Conversations on Conflict Photography and explores public response to photographic coverage of war and humanitarian crises. She holds a PhD from Columbia University. ROBERT PEACOCK, project editor, is a content strategist, editor, and producer, specializing in photography and visual storytelling. He has also authored several collections, including Light of the Spirit: Portraits of Southern Outsider Artists (University Press, Mississippi), Sleep: Bedtime Reading, with Roger Gorman (Universe/Rizzoli), and Paradise Garden: A Trip Through Howard Finster’s Visionary World (Chronicle Books). PROJECT DESIGN by Reiner Design Consultants was formed by Roger Gorman in 1987. Gorman, an award-winning graphic designer, has been an art director at Artforum magazine, designed special issues of BusinessWeek and acted as guest art director on issues of Aperture magazine. Clients past and present include some of the biggest names in the music world, such as Madonna, Air, Aerosmith, David Bowie, Ween, Metallica, and the Misfits. Corporate clients include American Express, Exxon, Coca Cola, Qwest, Martini, Dewars, Daimler Chrysler, MTV, The College Board and VH1, MAS, Barcardi among others. Beginning in 1934 as Japan’s pioneering photographic film maker, FUJIFILM has leveraged its imaging and information technology to become a global presence known for innovation in healthcare, graphic arts, optical devices, highly functional materials and other high-tech areas. PhotoShelter supports the people and organizations who create and share visual stories — the people who inspire us all to see the world a little differently each and every day. Our platform offers simple and smart ways to share, store, deliver and sell your highest quality work. We handle the biggest files and solve some of the biggest business challenges that come with both fixed and moving images. All with the professional quality and service you deserve. So you don’t have to worry. Ever. Find out more about us at www.photoshelter.com. Our mission is to highlight and help facilitate the power of photography to influence the world. We help photography to be better understood, created, utilized, seen, and saved. Find out more about us at www.photowings.org. 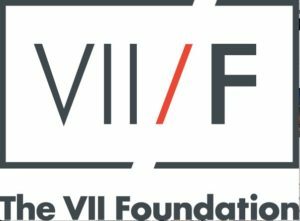 The VII Foundation is an independent, charitable media and education non-profit organization. In order to produce work that addressed complex social, economic and human rights issues. the Foundation was established as an independent non-profit structure to secure support for continuing documentary practice and education. United Photo Industries is a New York-based non-profit organization whose mission is to promote a wider understanding and increased access to the art of photography. UPI provides physical platforms and opportunities worldwide for visual artists to present high-quality, challenging, visual storytelling. Find out more about us at www.unitedphotoindustries.com.